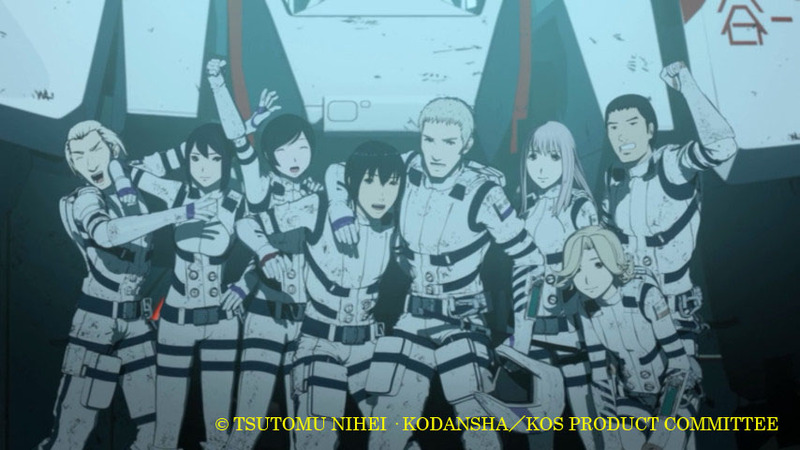 Even if the most notable thing about Knights of Sidonia is its status as the first original anime series offered by Netflix, that wouldn’t be anything to sneeze at. But apart from that, it’s the sort of show best described as “solid”: it gives us a compelling (if recycled) premise, an endearing (if bland) main character, and — as a fine bonus — some of the most technically accomplished animation seen in a long time. The only place it breaks new ground, though, is in its venue and delivery mechanism. It’s unfair and inaccurate call the show a letdown, but now that the initial rush has worn off (Netflix is getting into anime! ), it’s also wise not to get too worked up about it, either — at least not until next season, when the rest of the show’s hand ought to reveal itself. Sidonia, adapted from Tsutomu Nihei’s manga of the same name, is set on board a spacefaring human colony — a seed ship built from an asteroid, traveling for at least a millennium with some half a million humans on board. 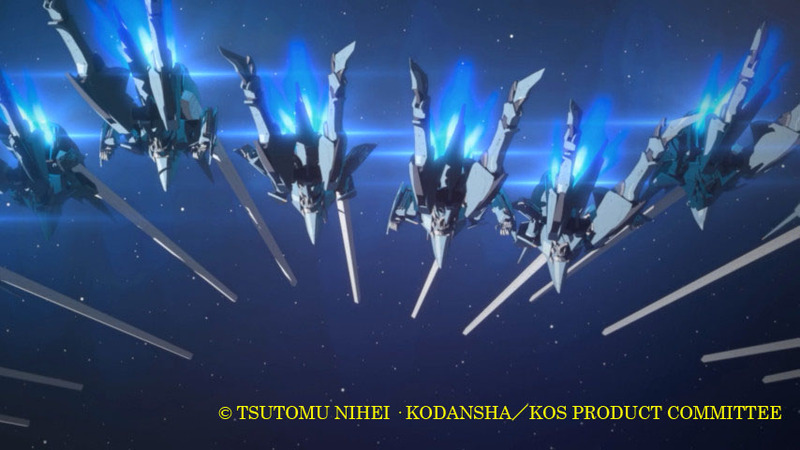 The “knights” of the title are the pilots of the “Gardes”, the robot fighters they venture out in to do battle with the “Gauna”, the massive alien monsters that attack the colony and can only be killed with great difficulty and surgical precision. A young man, Nagate, who has lived his entire life in Sidonia’s under-tunnels under the care of his grandfather, emerges from the darkness when his food supply runs out one day. He runs into one variety of trouble after another and is soon arrested. But his captors quickly realize his skills are extraordinary: one of the only things he did in the underground, besides eat and sleep, was work with a Gardes training simulator, on which he’s racked up scores that make him the envy of the other pilots. In some ways, though, they’re superior to him, as most of them can photosynthesize for sustenance, and Nagate is stuck wolfing down riceballs at a rate they find comically inconvenient. Nagate is lucky enough to be surrounded by peers who are friendly and curious; among them, Shizuka, a fellow female pilot. Between the two of them, something like affection blooms. It does not last long, as Shizuka is killed in action, but returns to life as a Gauna with all of Shizuka’s skills. It doesn’t help that the machine he pilots was originally meant for the sullen, haughty Norio, whose envy ends up fueling (however subtly) Shizuka’s death. All of this interpersonal tension, though, bulks small in the light of how the Gauna are turning out to be far deadlier enemies than anyone expects — and how the machinations of those in charge of Sidonia reach far and wide, and touch on everything from Nagate’s own origins to the destiny of the entire human race. 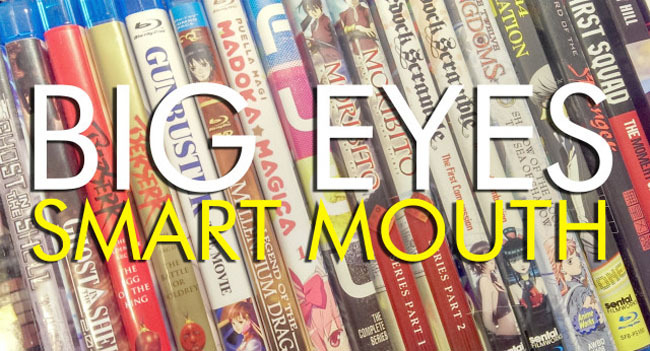 Most anime — and most entertainments, really — are built from the pieces of their predecessors. I say this not as a criticism but as an observation: very little of anything is a true original, and it’s only by standing on the shoulders of your predecessors do you get anywhere. The blueprint for modern mecha shows has been laid down the Macross, Gundam, and Neon Genesis Evangelion franchises so thoroughly that it’s difficult to come up with something that doesn’t fall into the shadow of one of those three enterprises. Sidonia is a good example of how to create an entertaining entry in that oeuvre without either a) straying too far and alienating fans who expect certain things to happen (e.g., your hero, if he dies, must die heroically and not stupidly), or b) being so slavishly adherent to the formula that nothing interesting happens. It’s just different enough. 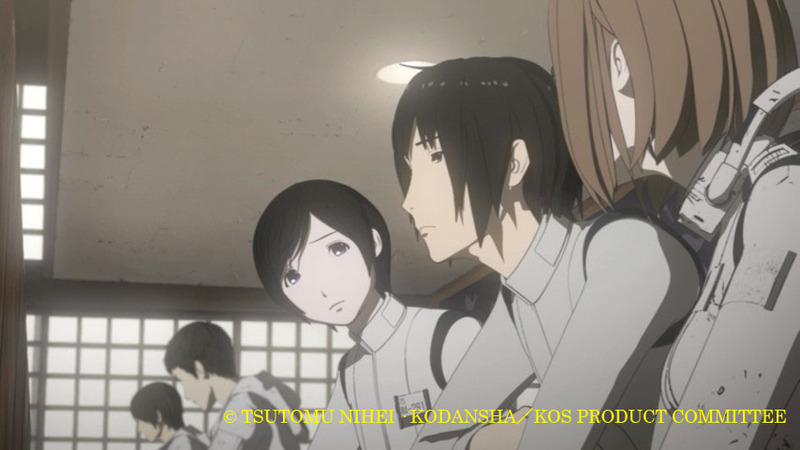 What’s odd about Sidonia, though, is that it invites comparison most closely not with any of those things, but with another production that has been unfolding in parallel with it and thus unlikely to have been an influence on it: Attack on Titan. That show, too, dealt with the remnants of the human race sealing itself up behind walls while sending young, hot-blooded, horn-locking fighters to risk their lives against enemies of implacable hostility, mysterious origins, and unexpected abilities. In retrospect, though, that seems more a case of Titan being patterned that much more closely after all the properties Sidonia itself owes a debt to. The common roots look all the more common in the right light. Then again, maybe it was for the better — for Netflix, at least — to have Sidonia be created from reasonably familiar parts. It wouldn’t have done Netflix much good to throw their money and weight behind something that would have been a niche fan favorite, but have little chance of spreading beyond that. The larger question is whether or not even the most conservatively-constructed anime series has a chance of breaking wider than the audience that will be guaranteed to turn up for it — but perhaps one of the advantages of the Netflix model is that they won’t need a bigger audience for it to be a success. Knights of Sidonia comes to us by way of Tsutomu Nihei‘s manga, and I think that might explain in part how it manages to feel just new and fresh enough to be engaging without also being too alienating. Nihei is best known for bleak, post-end-of-everything manga tales like Blame!and Biomega, where dead-eyed young men stalk through giant ruined structures and every now and then kill ugly things violently. 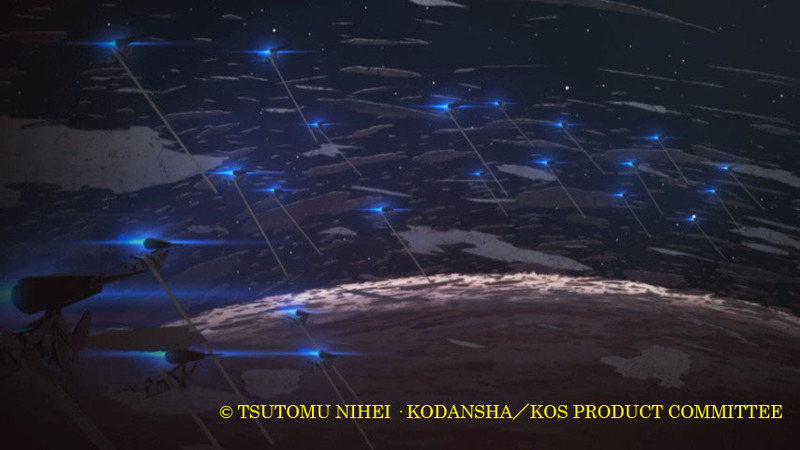 Sidonia hews a good deal closer to more conventional territory — the aforementioned Gundam, Macross, Evangelion, etc. — and so it’s a good deal less difficult to swallow than Nihei’s earlier works. But here and there you can see Nihei’s signature look and feel: in the alternately cavernous and claustrophobic spaces inhabited by some of the characters, in the quasi-Brutalist architecture of the buildings, and in some of the thematic elements as well. One thing that has historically not been Nihei’s strong suit is character, though, and it shows here. As a character, Nagate is mostly a placeholder: he’s more interesting for the tensions his presence creates and the rivalries his existence touches off than for what kind of person he is or even for what he accomplishes. Maybe that’s deliberate: after all, someone who’s spent his entire life until now hiding in the underground isn’t likely to be a flamethrower of charisma. It also gives him the wide-eyed earnestness typical to so many young heroes of anime, and with that the show once again has that much more in common with its genre neighbors. It makes me uncomfortable to say that a key selling point for any show is the visuals, but Sidonia does indeed raise the bar for how CGI is used as an animation tool. Everything, including the character animation, has been digitally generated, and while sometimes that results in a marionette-like stiffness that throws me off (Katsuhiro Otomo‘s Freedom and the Appleseed TV productions had the same problems), there are just as many places where it’s amazingly expressive. The space battles are dazzling — they’d better be, for a show that revolves around them — and even get more impressive and ambitious as the show unfolds. If I have my gripes about how Sidonia is more competent and functional than groundbreaking or enthralling (save for its remarkable visuals), don’t let that get in the way of you enjoying it. In fact, the more I think about it, it’s nothing short of a small miracle that a show this fundamentally good landed such a plum, prime-time cultural spot. But I do wonder if they’ll elect to go somewhere genuinely original from here, or just play it too safe.